Ahh fresh produce season! This is such a great time of year. Farmers markets are back. Grocery store prices are cheap. And options are bountiful. I start craving more fruits and veggies as the weather gets warmer. 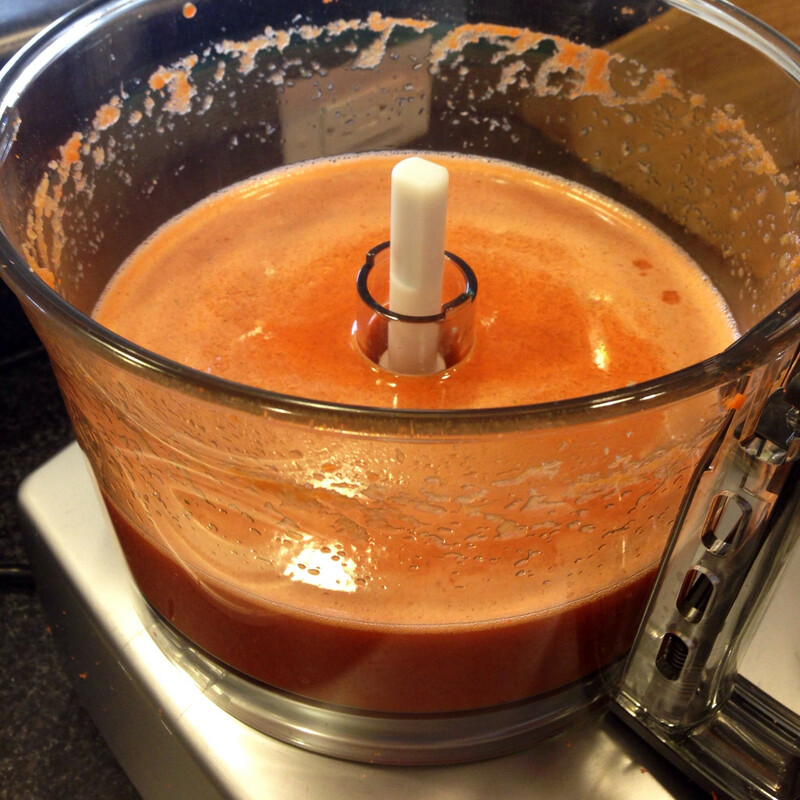 I’ve also been craving fresh, homemade juices. I love the ones at Whole Foods but for $6 a pop I can’t make those a part of my weekly routine. So I’ve started making my own! 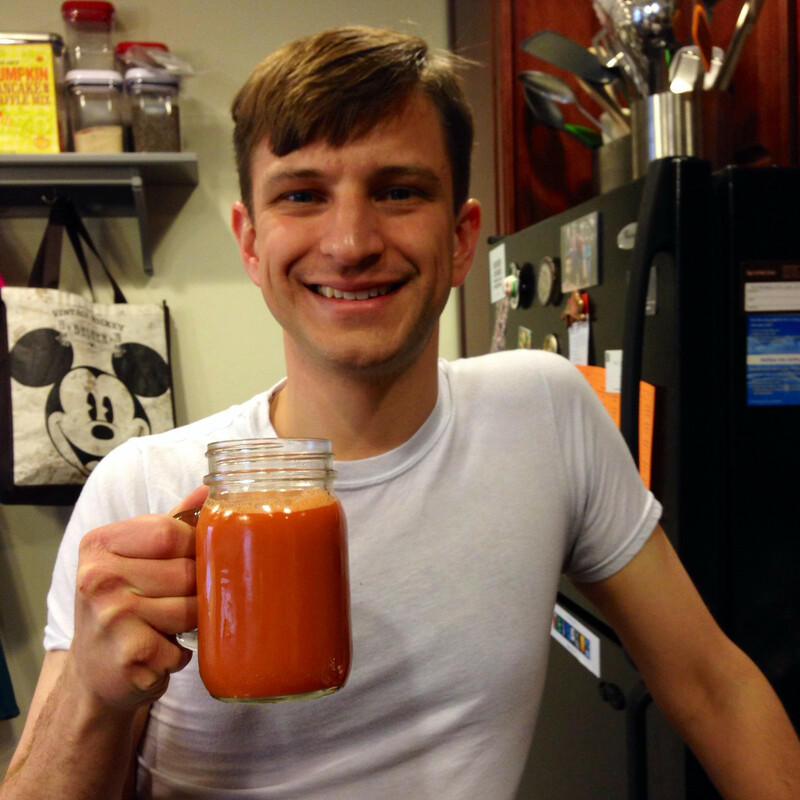 Josh and I made this carrot apple ginger juice last week and fell in love with the refreshing, light taste. As soon as I tried it I knew I had to share the recipe with you. *Note: The carrot and apple juices have a tendency to separate when left sitting. Just shake or stir the juice to get everything combined again before serving. 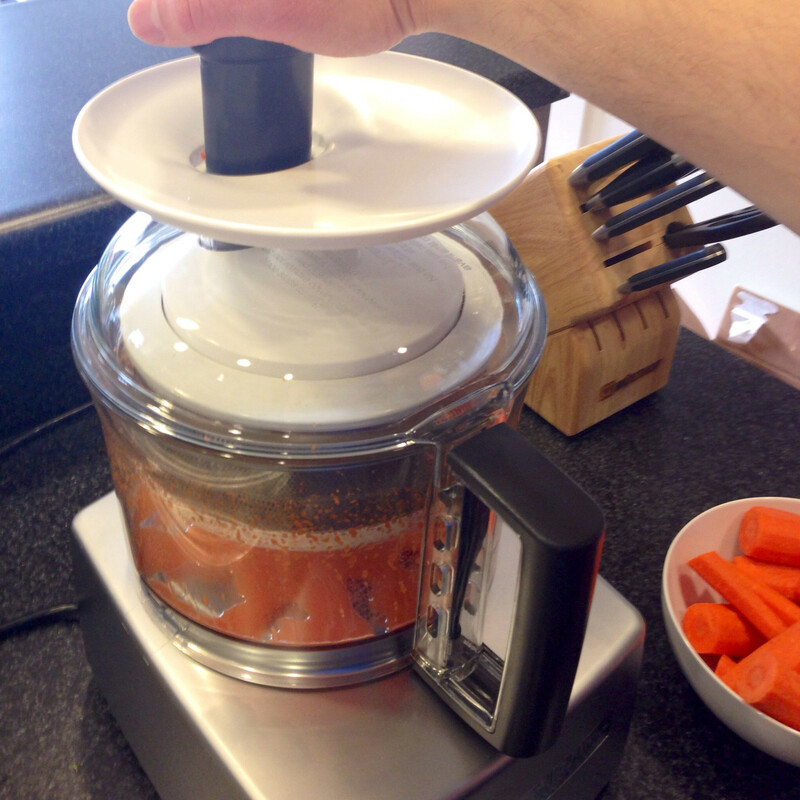 From raw ingredients to juice in 5 minutes. I always thought veggie juices would taste gross, until I tried them! They key is to pair a vegetable with a fruit! Apples give this juice the sweet taste it needs. Delicious and oh so tasty. Questions of the Day: Are you a veggie and fruit juice fan? What’s your favorite juice combo? haha Let me know what you think of it if you make it! Looks yummy 🙂 I must admit that I’ve never ‘juiced’ before. Would this work in a regular blender? Hey Lori! It would! Just make sure you remove the apple seeds before you put the apple in the blender. Yay! It tastes so good! I bought a Juicer last summer and I LOVE it. I bought a whole recipe book and discovered I actually like the veggie/fruit juices more than the plain fruit ones! I’ll have to give this one a try! Yes! Fruit + veggies = winning combination! Absolutely! I’m always up for “Non-Juice Juice” juicing! I add ginger in my smoothies but never tried juicing it before! 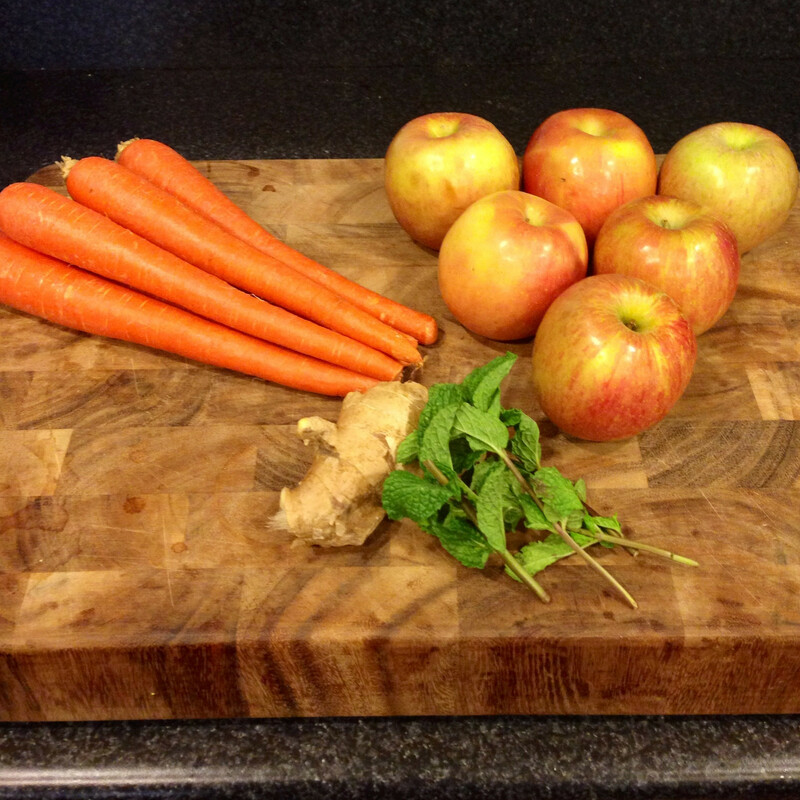 The combo of carrots, apple, and ginger sounds delicious! This looks SO good. Definitely need to make this juice this weekend! Yay! Let me know what you think of it Lauren!